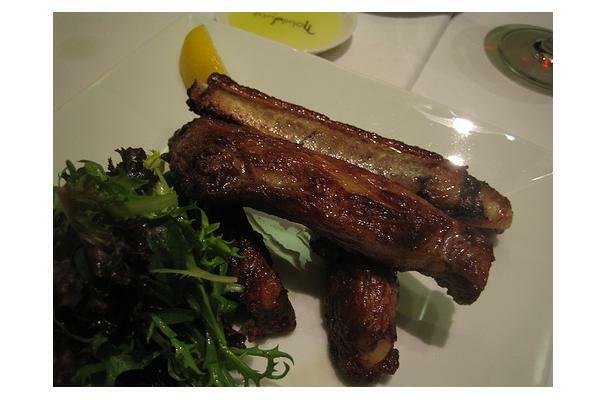 Spare ribs (also called spareribs) are a variety of pork ribs, cooked and eaten in various cuisines around the world. They are the most inexpensive cut of pork ribs. They are a long cut from the lower portion of the pig, specifically the belly and breastbone, behind the shoulder, and include 11 to 13 long bones. There is a covering of meat on top of the bones as well as between them.